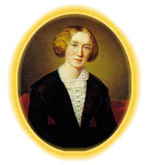 In July 1995, the English Department of the University of Warwick, in conjunction with the George Eliot Fellowship, hosted a week-end conference on George Eliot and Europe. This seemed a natural progression from the 1992 conference on George Eliot at the Heart of England, since although George Eliot's roots in Warwickshire were deep, her intellect and imagination were continually branching out towards wider horizons. As though to echo this enlargement of perspective, there were more lectures this time (twenty to 1992's ten) and many more speakers from abroad. On Friday evening, the opening lecture was given by Professor Margaret Harris who came from the University of Sydney where she is co-editing George Eliot's Journals. She maintained that the Journals provide evidence of George Eliot's way of seeing, evidence that Cross doctored when, for example, he omitted embarrassing references to Lewes, to the sensuous pleasures of a picnic in Weimar and the differences between German and English beds. The Italian journey of 1860 was George Eliot's version of the Grand Tour in which the appraisal of experience was set against romantic expectations and in various ways prepared for Middlemarch. From the Grand Tour we passed to a literary tour of three European novels, English, Russian and German, compared by Professor Barbara Hardy of Birkbeck College. In Middlemarch, Anna Karenina and Effi Briest, three heroines dance into quicksands, three men's responses to Art symbolise their lack of passion, and three unsatisfactory marriages are paradigms of wider social constraints. Barbara Hardy discussed key moments in narrative, proleptic moments in discourse, and the achievement of realism in all three novels. Saturday morning opened with an exploration of the uses of Continental Europe in Middlemarch by Professor Hans-Ulrich Seeber of Stuttgart University. He invited us to see the novel as both European and modem in its consciousness of social change and cultural interaction. Our common heritage is recalled by all the European voices, notably in the epigraphs, while major characters, especially Will Ladislaw and Dorothea (whose name reminds us of the Dorotheas of German literature) represent Anglo-European identities. Dr. Nancy Cervetti from Avila College then analysed the influence of Strauss and Feuerbach on George Eliot, differentiated between the two influences, and discussed the philosophical relationship between Eliot and Karl Marx, noting those rural injustices in Middlemarch that are epitomised by 'Mr. Dagley's Midnight Darkness'.